David Moyes will certainly be happy to hear that Nigerian,Victor Anichebe,the Sunderland striker,has revealed he is ready for defenders regarding the new attention he is getting from them. The striker has noticed he is being targeted more by defenders in the English premier league this season, following his blistering and superb form in his new club. ever ready for the challenge. 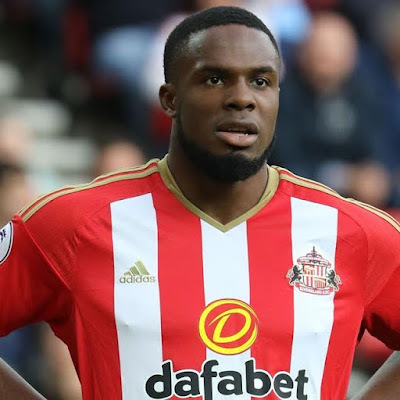 “It is becoming a lot more difficult, when I first came into the side teams didn’t know what to expect,” Anichebe said to Sunderland Echo.They are trying to stop our left-hand side of attack. That is why I switch sides sometimes because teams are ready for us and are a lot more aggressive with me. “I am used to it – I just have to be ready. Every game is tough. They are doubling up on me, but that is part and parcel of the game. It is a compliment as well. Whenever there is a battle, I will be ready for it. By the way,i hope the Super Eagles team manager calls back the boyfriend of Nigerian Billionaire Femi Otedola's daughter Dj Cuppy, into the national team.Can you imagine Anichebe being added to the players we have now with the form he is in?Iwobi,Alex Iheanachor,Ahmed Musa,Victor Moses,Odion Ighalor?I don't see why we should not be looking at at least a last 8 finish at the next world cup. Meanwhile,Sunderland looks like they have found the perfect combination with Defoe and Anichebe.I expect them to finish mid table.